German cockroaches are a common species of indoor cockroaches that are found across the world. You can easily recognize adult cockroaches by their tan to almost black color and two horizontal black stripes on the pronotum behind the head. These cockroaches can grow to a length of 13-16mm. Their smaller young ones or nymphs have a darker color, and the same black stripes. They also posses wings, but they prefer to run rather than fly. If the cockroaches you see on your counter top in the early morning are brownish and have two stripes, they are the notorious German roaches. German roaches can survive in tropical environments, but are commonly found indoors in the warm and humid areas of a building. 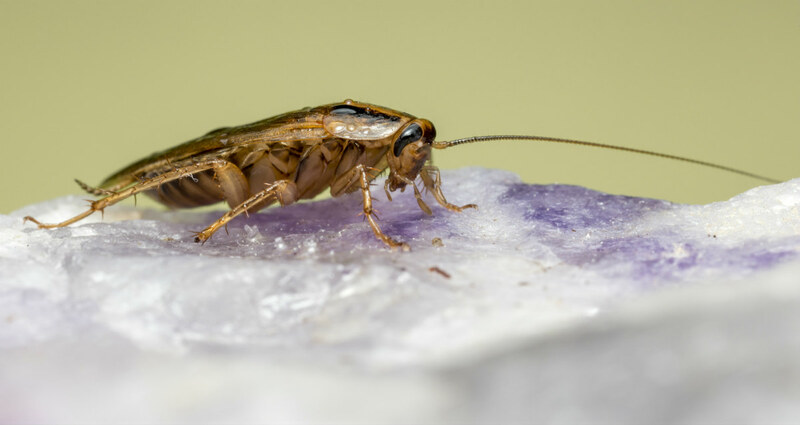 In homes, German cockroaches are most often found in bathrooms and kitchens; however, they can also travel to other areas of the home where moisture and food are available. It has been observed that some workers in the food industry carry roaches, their eggs and nymphs into food preparation sites and processing plants. According to experts, about 95 percent of the German roach infestation in these food preparation areas are coming in on workers and their personal belongings. If you suspect a German roach infestation, you should do a thorough inspection f your home. Check out the harborages and runways for possible signs of infestation. Look for roaches, their eggs or excreta that resembles black pepper. Use a flashlight and check areas such as cracks and crevices, behind and under stoves, refrigerators, microwaves, toasters and sinks, under table tops, cabinet corners, electrical outlets, switch boxes, under and behind soda fountains and cafeteria counters, telephones, cash registers, recycling bins, vegetable bins, meat counters, chopping boards, or any place else where conditions may be favorable for the roaches to thrive. Leave no food for roaches: Keep your home clean and store the food properly. Make sure the bin that contains food waste is sealed properly. Remove harborage for roaches: Remove all the clutter from home including old magazines and newspapers. Regularly inspect the back and bottom of furniture and hidden places such as air ducts and false ceilings. Do not let them enter the building: Install drain covers, seal all openings on external walls and install a wire mesh. Call in a St. Louis roach exterminator at the first site of German roaches in your home. Eliminate them before they multiply and take over your house completely. Suspect a German cockroach problem in your St. Louis home or business? Trust our team of experienced pest control experts! Our St. Louis cockroach extermination services are designed to eliminate your problem, and give you the peace of mind that will enable you to enjoy a peaceful night’s sleep. Call us today at (855) 682-2855!